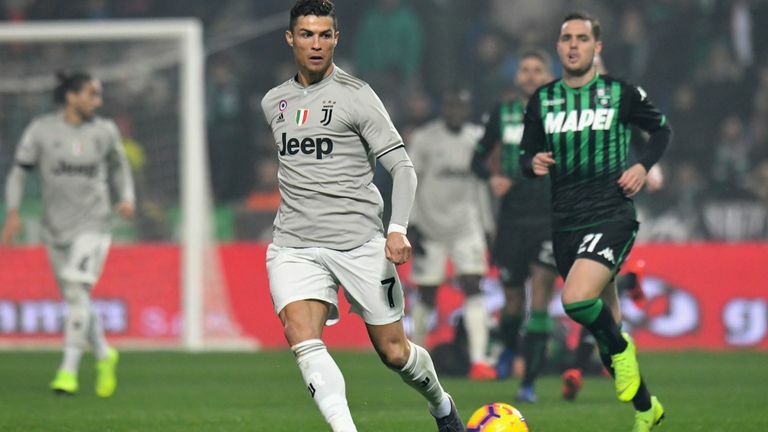 Cristiano Ronaldo scored the second goal & had a hand in the third, in the defending champions’ 3-0 victory away at Sassuolo. The win steered Juventus 11 points clear at the top of Serie A ahead of Napoli who drew away at Fiorentina. Ronaldo scored his 18th league goal of the campaign making him the top scorer in Serie A. With 20 goals this season already, it means Ronaldo has reached that number for 13 consecutive seasons. His impressive start at life in Turin means he is on course to be one of the top contenders for a record sixth Ballon d’Or. Few had questioned his form last year citing increased age but the 34 years old Portuguese shows no signs of stopping. The Bianconeri splashed a huge amount of money with an eye on champions league glory. And with European nights right around the corner, their star man seems to be hitting the right notes.